Shimla : This time 84,000 plants are for sale at the Nauni horticulture university at Solan.Around half of these were sold out on the first day on Wednesday. Officials claim they are being sold on first come-first serve basis at the university campus. In apple, the spur varieties were highest in demand among the farmers. Besides apple, kiwi, pomegranate, apricot, peach, nectarine, cherry, walnut, pecan nut, persimmon, pear, plum and almond, are up for sale. The UHF’s Model Farm and the Departments of Seed Science and Fruit Science of the university have produced the planting material. In addition to the above-mentioned plants, the various Krishi Vigyan Kendras (KVK) and Research Stations of the university located in different parts of the state have also produced over 62,000 saplings of fruit plants, which will also be sold to the farmers. 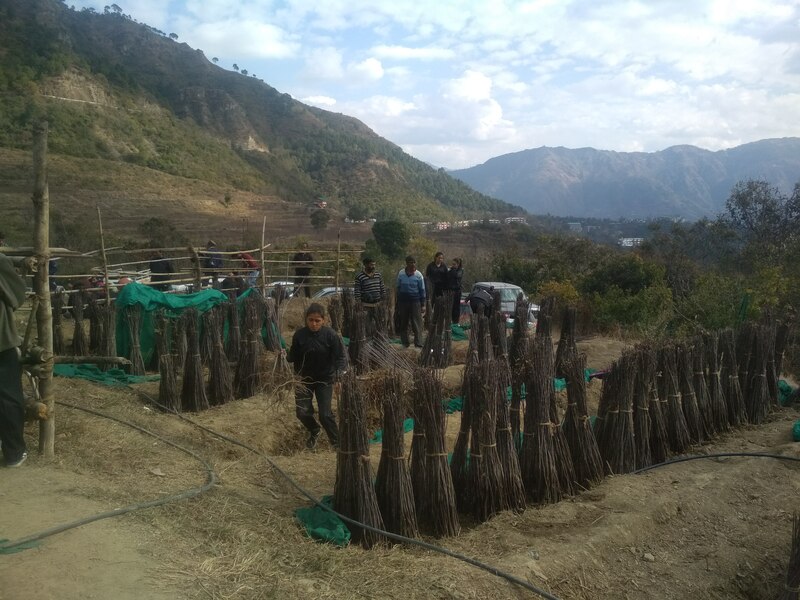 These include the KVKs at Kandaghat, Sharbo, Rohru, Chamba and the Regional Horticulture Research and Training Stations at Mashobra and Bajaura.